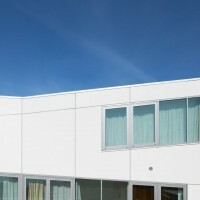 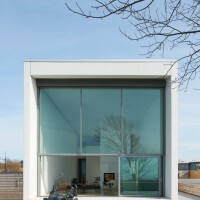 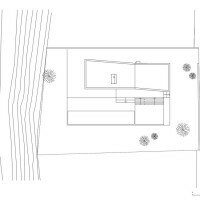 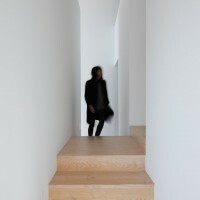 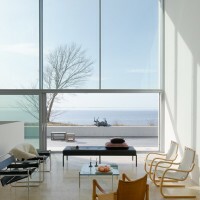 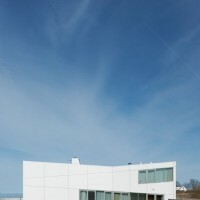 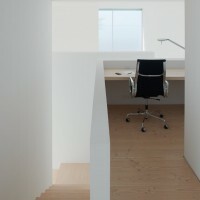 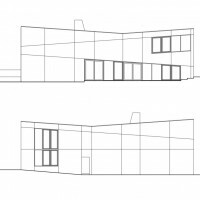 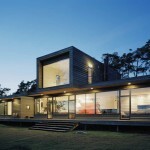 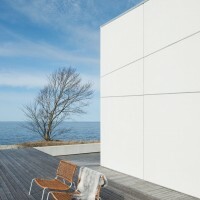 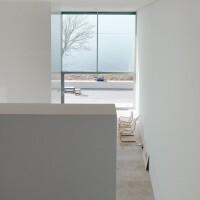 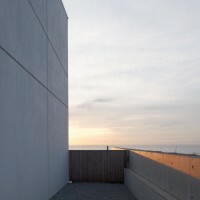 Claesson Koivisto Rune have designed the Widlund House in Sandvik, Öland, Sweden. 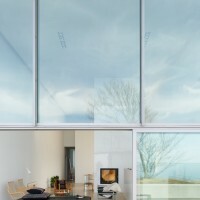 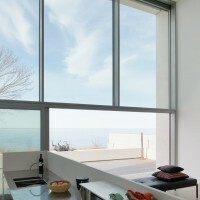 This house is like a funnel of light, space and sea views. 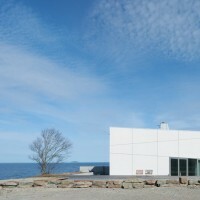 The location is the west coast of the Baltic island of Öland. 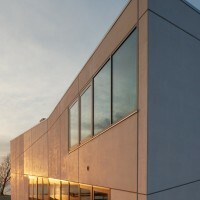 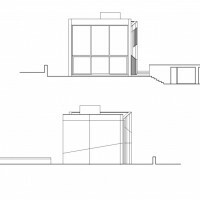 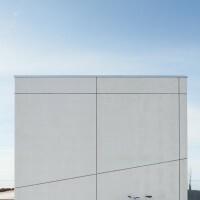 The white concrete box is “corsetted” in the middle, creating slightly sheared wall and roof angles. 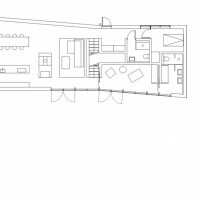 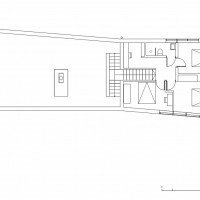 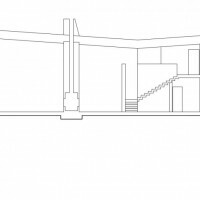 This gives the house both its direction and character, while also marking the difference between the rear private two-storey bedroom part and the communal double ceiling-height front part. 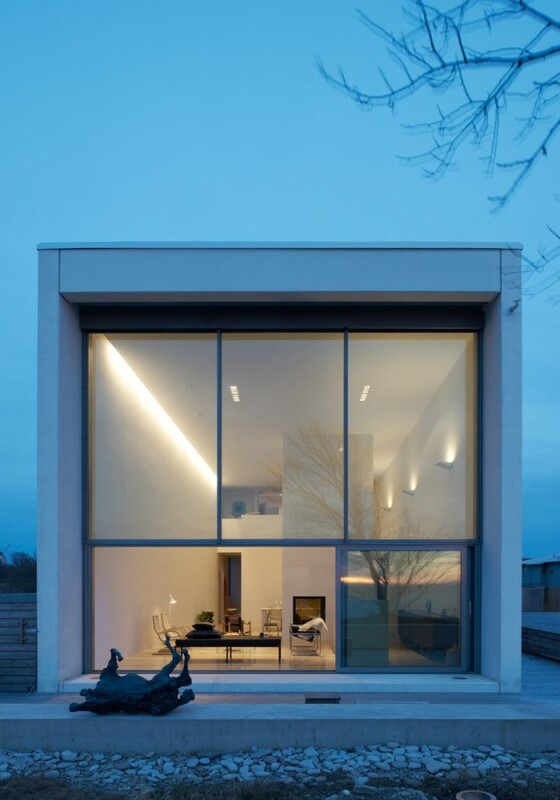 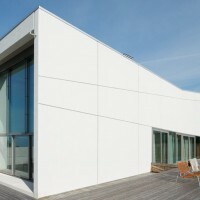 Precast concrete is perhaps not the most common choice for a private house at this scale, but was ideal for achieving the ultimate precision in manufacturing tolerance and colour/finish. 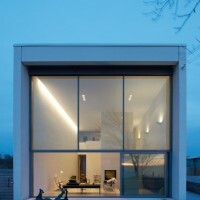 The concrete is not painted or surface-pigmented but solid white, which gives it a wonderful glow. 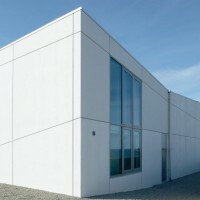 The joints between the concrete elements are carefully designed and positioned so that – instead of interfering with – they become part of the building’s geometry and expression. 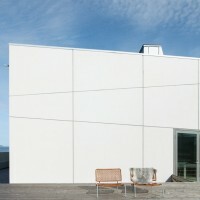 The sealant in between is gray to enhance the graphic effect rather than matching the concrete surface. 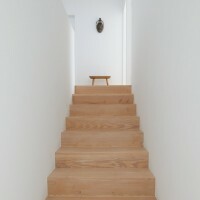 Visit the Claesson Koivisto Rune website – here.